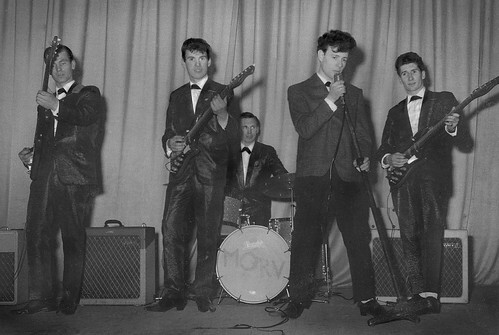 Amph Grigg (lead guitar), Redruth; Terry Venton (tea chest/bass guitar), Reduth; Morv Munday (drums), Redruth; Dave Lee (vocals), Redruth. 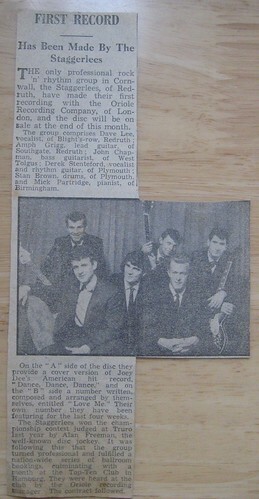 Eddie Harris, (rhythm guitarist), Redruth missing from photograph. Terry died not long after this photograph was taken. 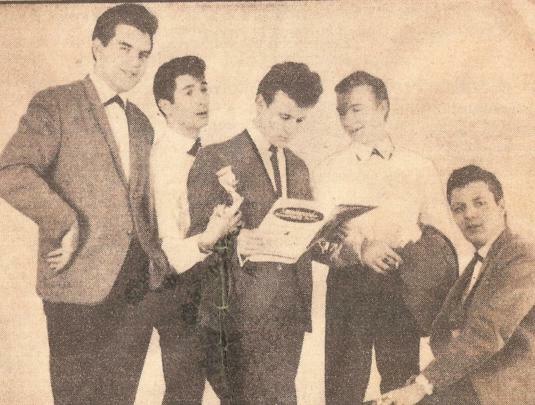 John Chapman (bass guitar), Redruth; Amph Grigg (lead guitar), Redruth; Pete Bawden (rhythm guitar), Truro; Merv Charleston (drums), Hayle; Dave Lee (vocals), Redruth. 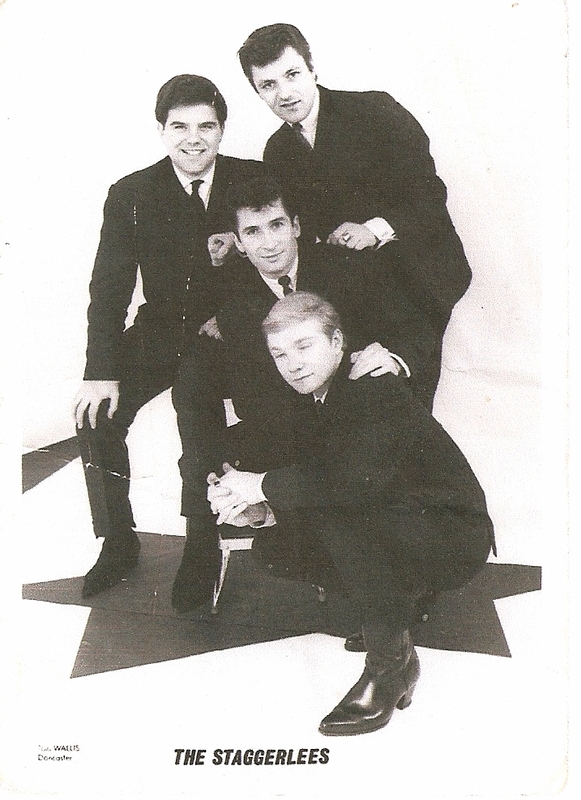 Back – John Chapman (bass guitar), Redruth; Morv Munday* (drums), Redruth; David Penprase (vocals) Redruth. 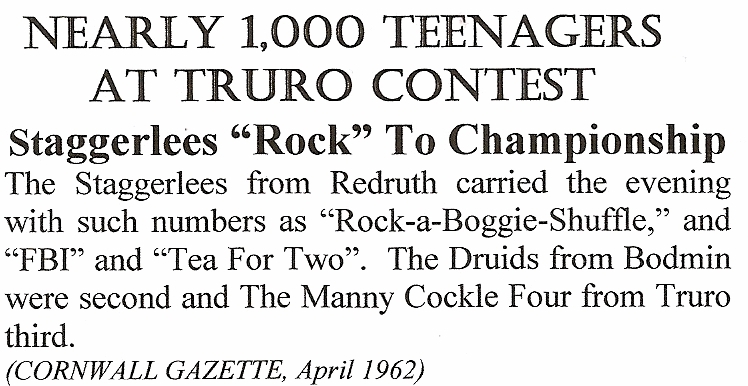 This is the group that won the 1962 Rock and Rhythm Championship. 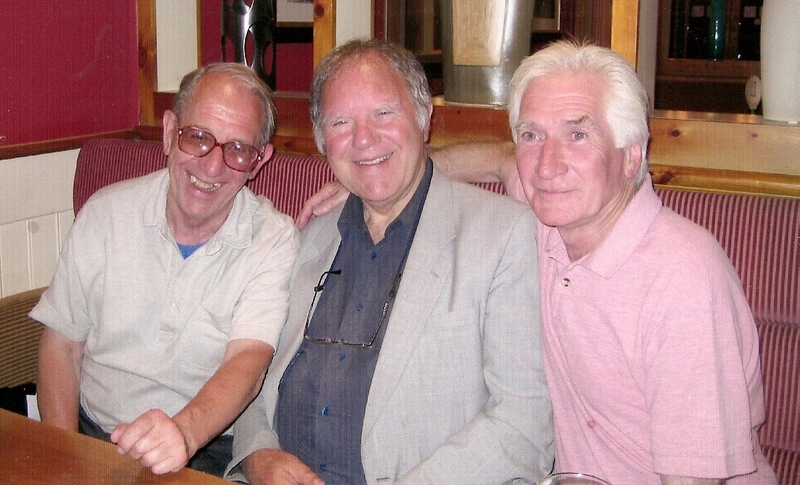 Front: David Penprase (vocals), Redruth; Mick Partridge (pianist), Birmingham; Stan Brown (drums), Plymouth. 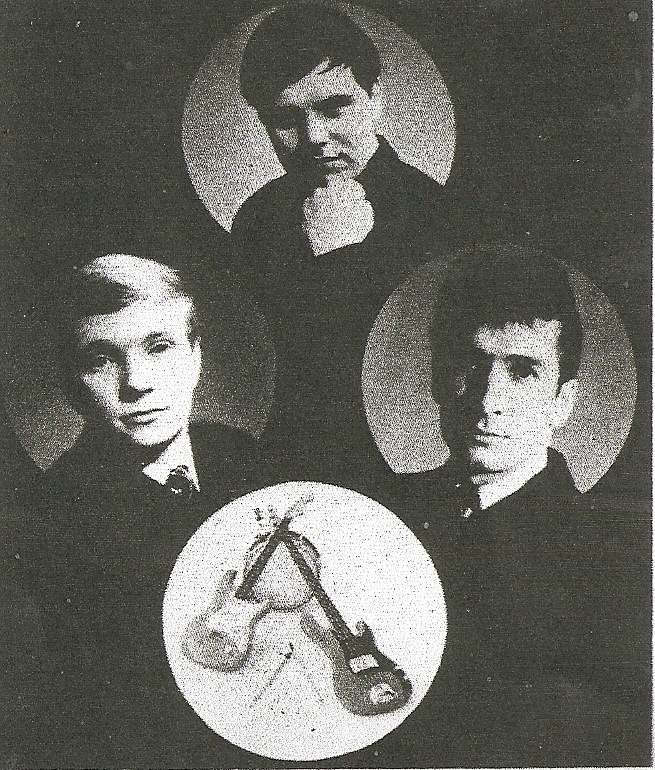 Back: John Chapman (bass), Redruth; Dereck Stentaford (rhythm guitar), Plymouth; Amph Grigg (lead guitar), Redruth – Group Recorded “Dance, Dance, Dance” and “Love Me”. 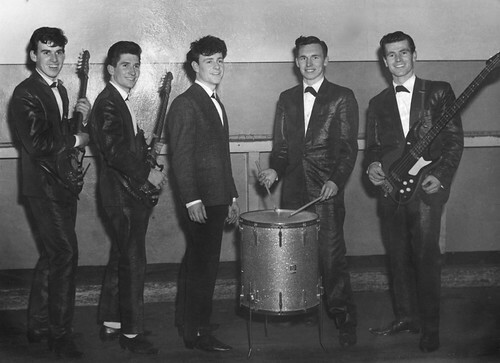 left – right: Mike Partridge (pianist), Birmingham; Lance Fortune (bass guitar), Liverpool; Stan Brown (drums), Plymouth; Amph Grigg (lead guitar), Redruth; David Penprase (vocals), Redruth. 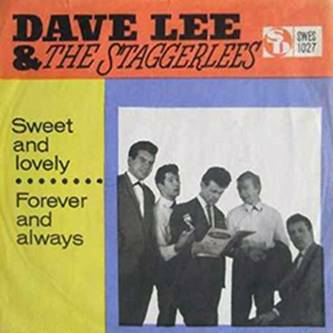 Left to right: Lance Fortune (bass guitarist), Liverpool; Amph Grigg (lead guitarist), Redruth: Dave Lee (vocals), Redruth; Tony Lee (drums), Hayle; Clive Gunn (rhythm guitar), Camborne – Group Recorded, “Sweet and Lovely” and “Forever and Always”. 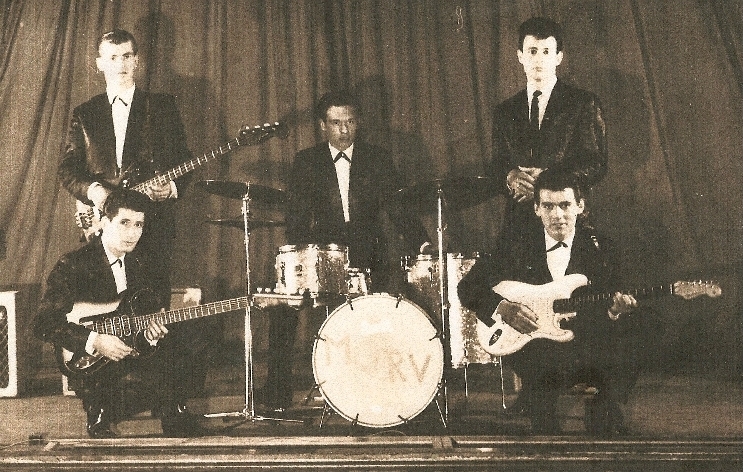 Front – back: Tony Lee (drums and vocal), Hayle; Amph Grigg (lead guitar and vocal), Redruth; Lance Fortune (Bass and vocal), Liverpool; Clive Gunn (rhythm guitar and vocal), Camborne. 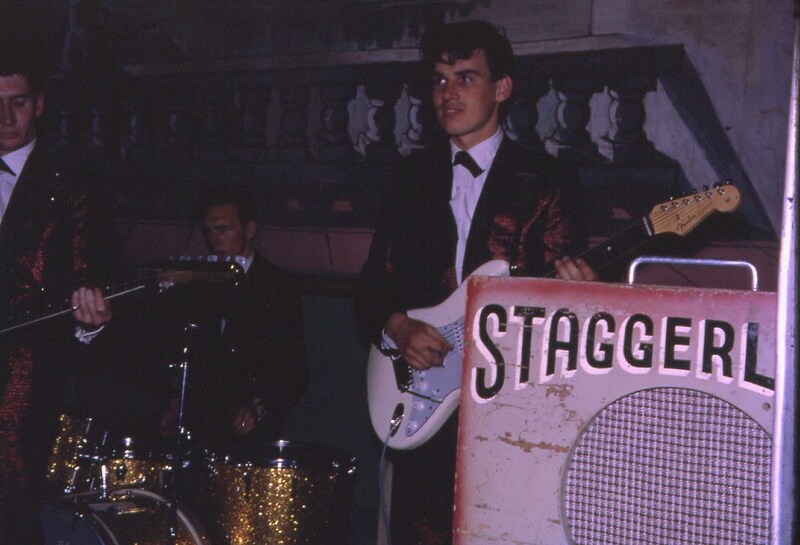 Front left – right: Tony Lee (drums and vocal), Hayle; Amph Grigg (lead guitar and vocal), Redruth. 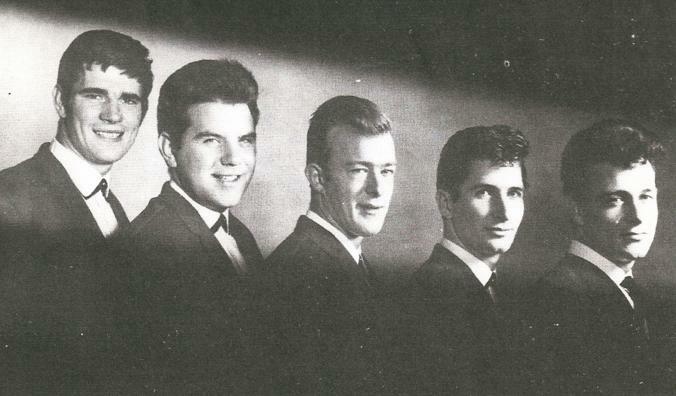 Left – right: Bill Covington (drums and vocal), Plymouth; Lance Fortune (bass guitar and vocal), Liverpool; Amph Grigg (lead guitar and vocal), Redruth. 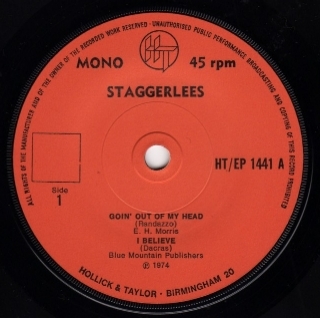 The Staggerlees were well known around the South West during the early-mid sixties. 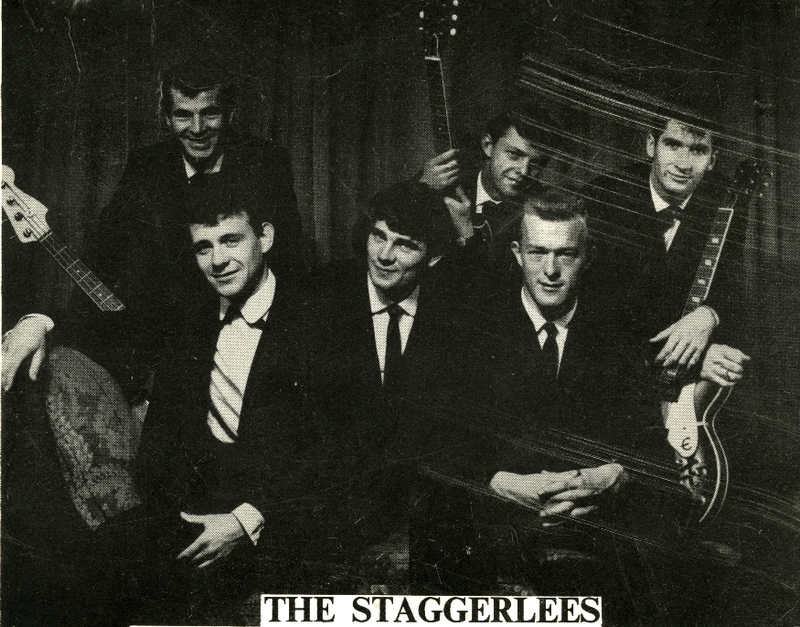 As the "Staggerlees Rock Unit" they competed in, and won, Truro's annual Rock and Rhythm contest in 1962. 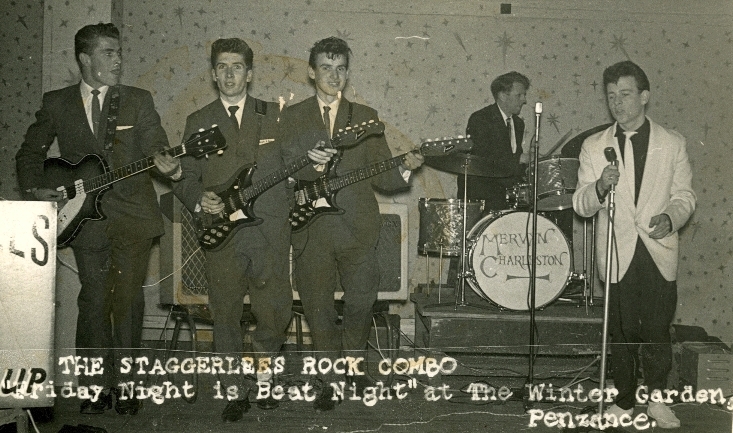 The band were regulars at the Friday night “Beat Night” at Penzance’s Winter Garden. These teen dances were jointly promoted by the band and Teen Promotions, with the venue being hired from John Adams. 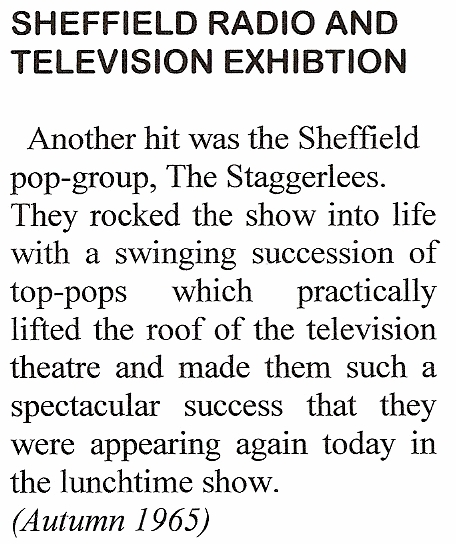 They were soon also playing at the Saturday night ‘bops’ at the Drill Hall, at Chy-an-Dour. 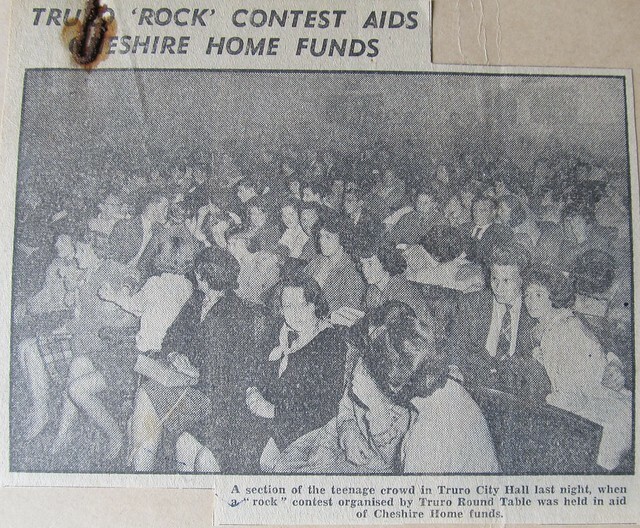 The band also promoted dances at Redruth’s Thornton Hall. 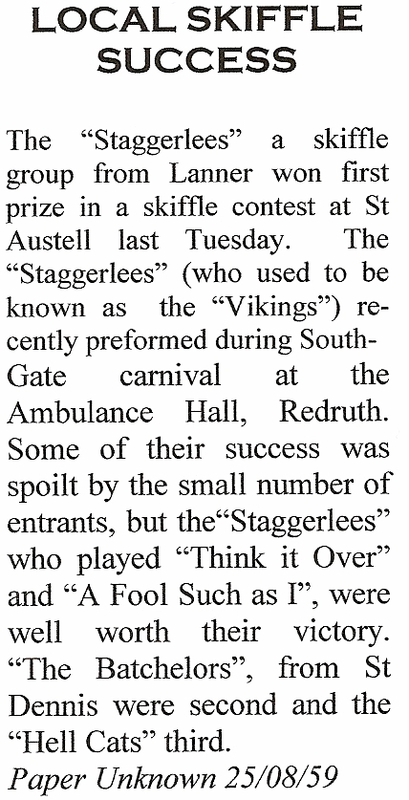 The band soon built up an extensive following within Cornwall & Devon and became one of the first professional Cornish beat bands. Thanks to manager Louey Instance they were packing out venues up and down Cornwall, including Tuesday night at Carbis Bay Memorial Hall, Wednesday night at Lane Village Hall. 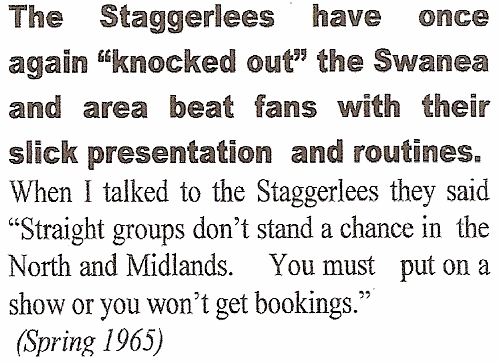 They were also bringing in the crowds at the many larger venues such as The Blue Lagoon and The Flamingo, while also supporting many of the big name touring bands. 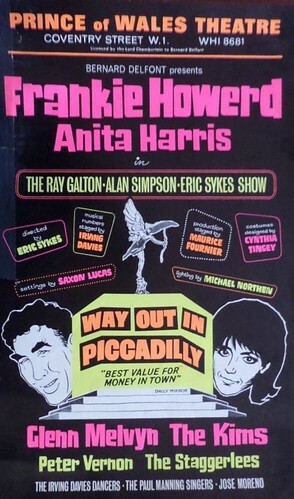 They supported Paul Raven (aka Gary Glitter) at a newly opened High-Fi Club. 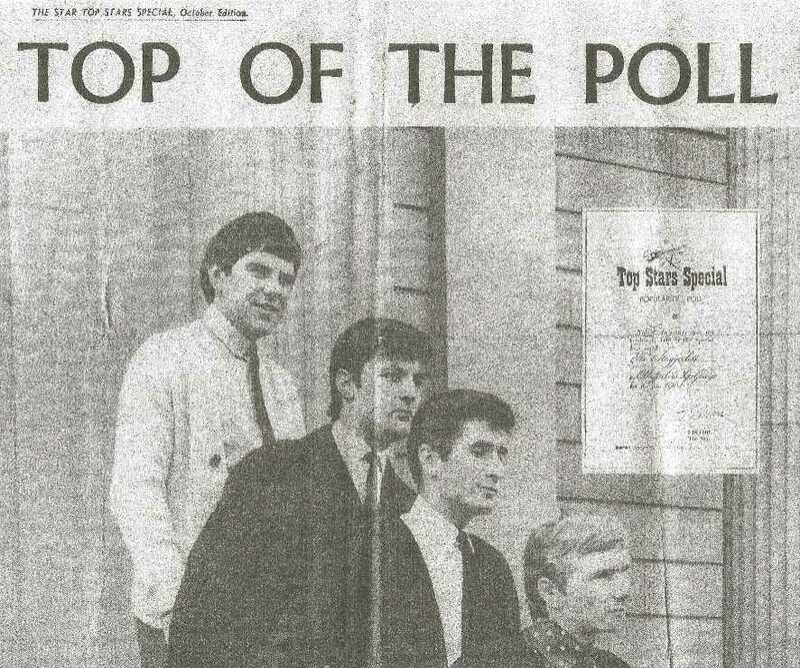 At St Johns Hall they supported Jimmy Crawford, who was riding the top of the charts at the time with “I Love How You Love Me”, so many fans turned up the police had to take charge! 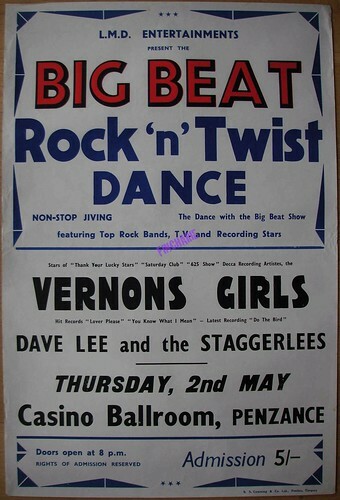 On another occasion they backed up a visiting Vernon Girls on at the Pavilion on the sea front. 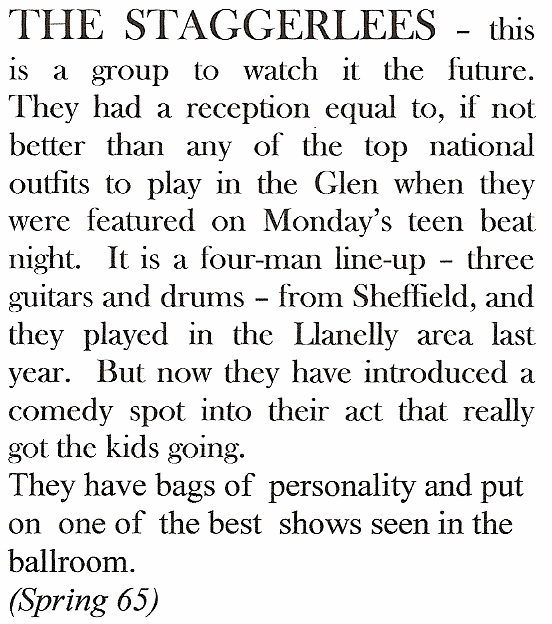 The band nearly didn’t make the gig, on the way back from a gig at Plymouth’s Black Cat Club they narrowly avoided a nasty crash in the Glyn Valley. Guitarist Anthony Grigg sustained a broken leg, but still managed to play the gig sitting in a wheel chair. None of the band could read music, so when presented with music from the Vernon Girls hits told the girls “you sing it and we’ll play it”. The band’s manager was horrified, but the gig still went down extremely well. 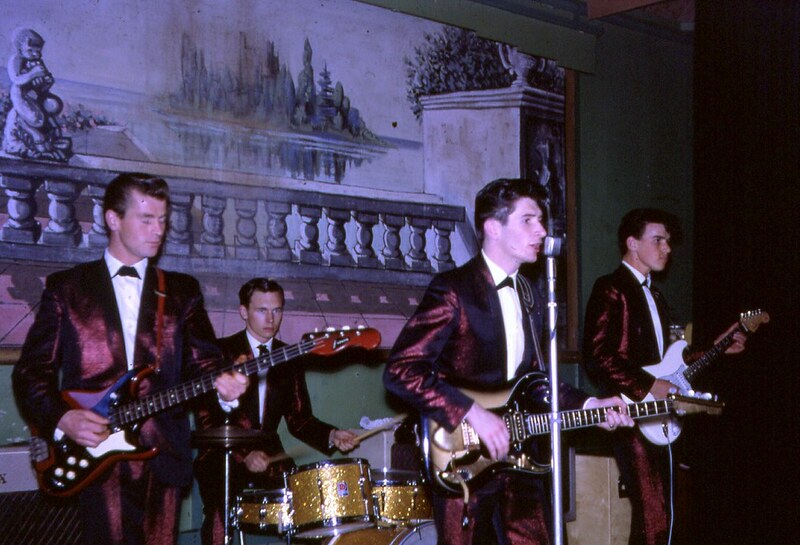 During the mid-60s the band starting to make the transistion from beat group to club/entertainment act. 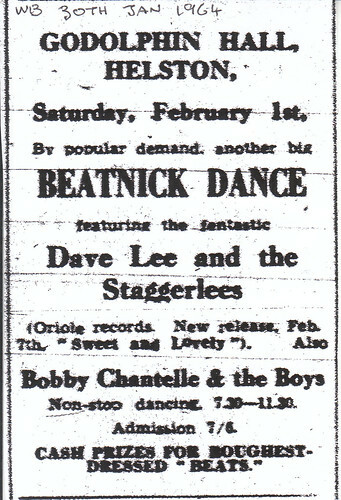 In 1965 they played the summer season in Cornwall. Monday-Saturday would see the band playing around all the holiday records, including a two night residency at Newquay's Blue Lagoon. 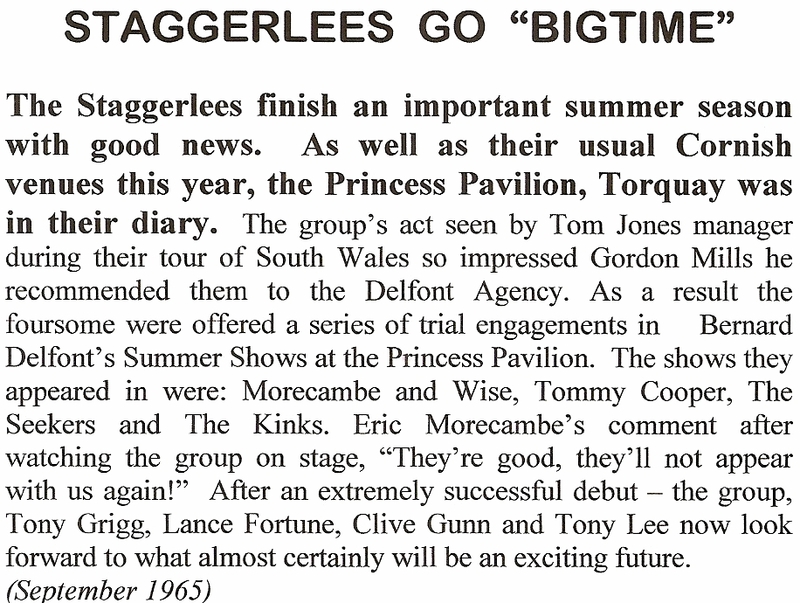 On Sunday the band would head to Torquay to play the Princess Theatre, where they could be found in the same bill as Morecambe & Wise, Tommy Cooper, The Kinks and The Seekers. These Sunday night dates were in fact a series of auditions for Michael Grade of The Grade Organisation. 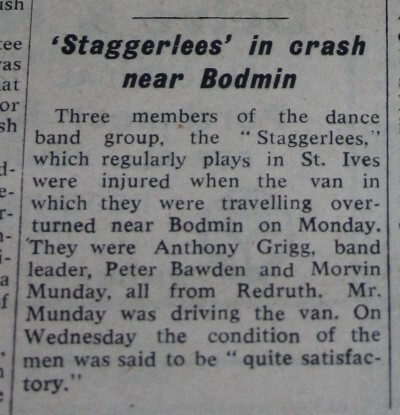 The organisation decided to take the band on, which would result in the Staggerlees performing less in their native Cornwall. 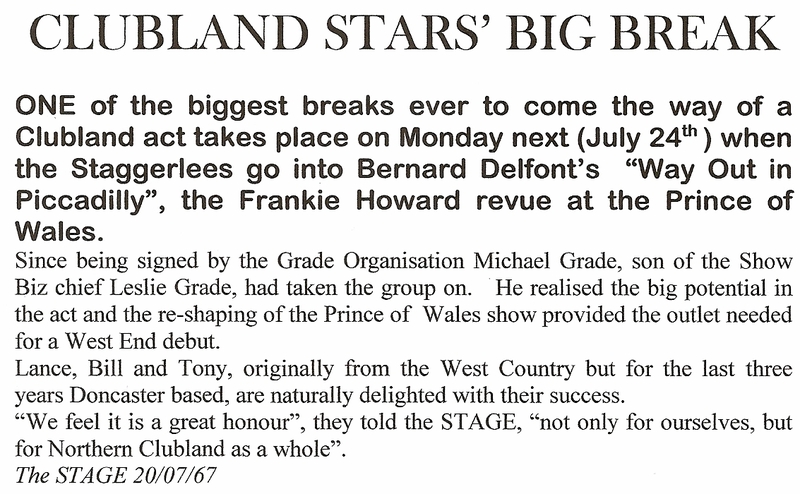 In July 1967 the band started a five month engagement at the Prince of Wales Theatre. 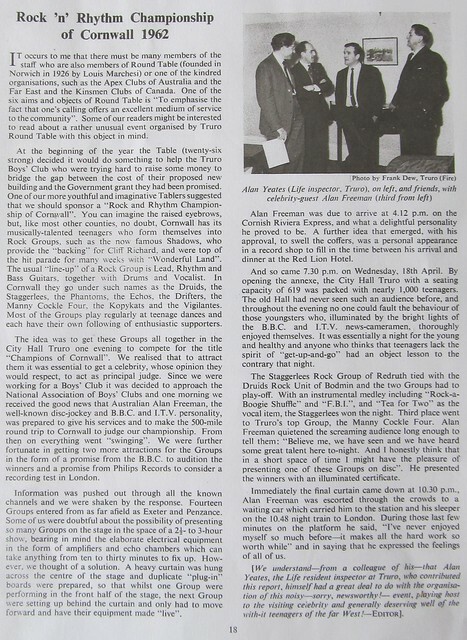 Through a contact they moved even further afield, playing around the more lucrative Northern Working Men's Club circuit and basing themselves in Sheffield. 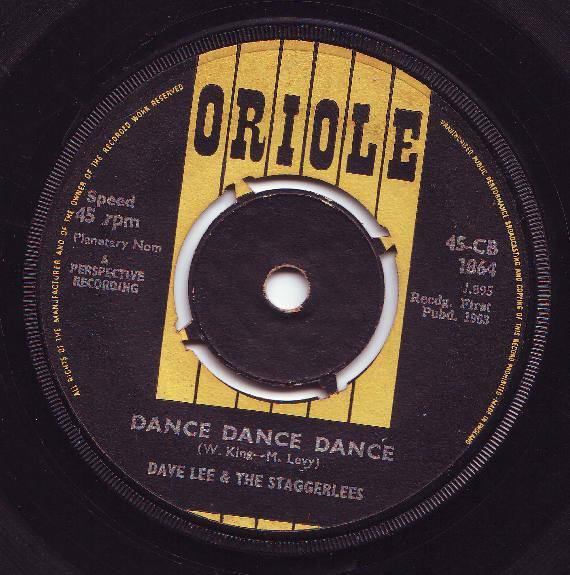 This also lead to gigs around Germany were they share the bill at the Top Ten Club with Dave Dee and The Bostons (who became DDDBMT) and Jimmy Powell & The Jumping Jacks amongst many others. 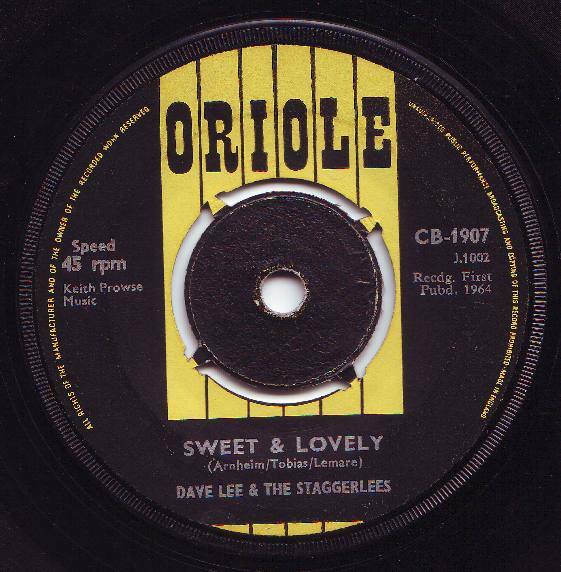 Through the bands involvement with an agent in Sheffield they scored a deal with Oriole records, where they recorded two great beat singles. 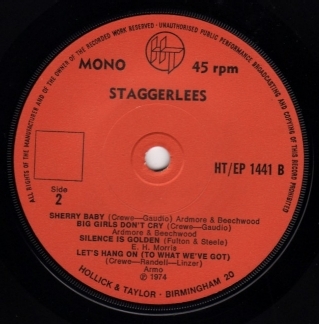 Unfortunately neither singles received much airplay and failed to take off. 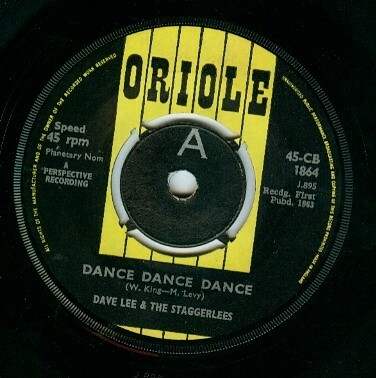 By Summer 1964 Dave Lee was no longer in the band, which continued as The Staggerlees. The three piece continued playing the club circuit until fairly recently. Dave set up a folk club back in his native Redruth in the early 70s before embarking in a successful 25 year long career in photography. 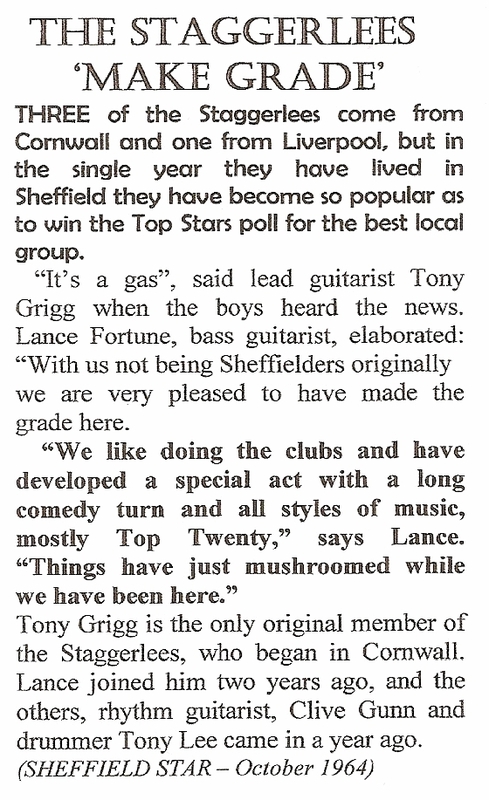 Chris Morris, better known by the stage name Lance Fortune (b. 1940, Birkenhead) was an English pop singer. Morris was classically trained on piano. 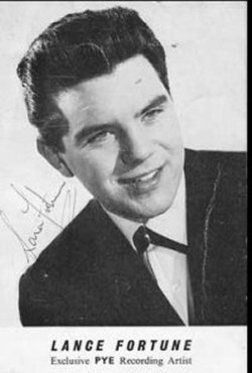 He signed to Pye Records as a solo artist under the name Lance Fortune, and released four singles, two of which became hits in the UK Singles Chart in 1960. 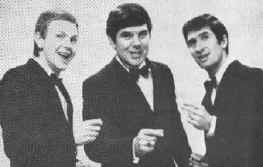 “Be Mine” that went to No 4 was Joe Meek’s first chart success. 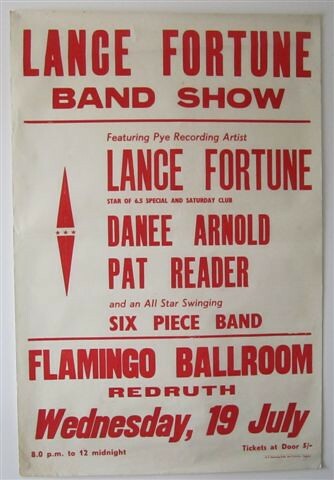 While signed to Pye, he was managed by Larry Parnes, who had come up with the name Lance Fortune. 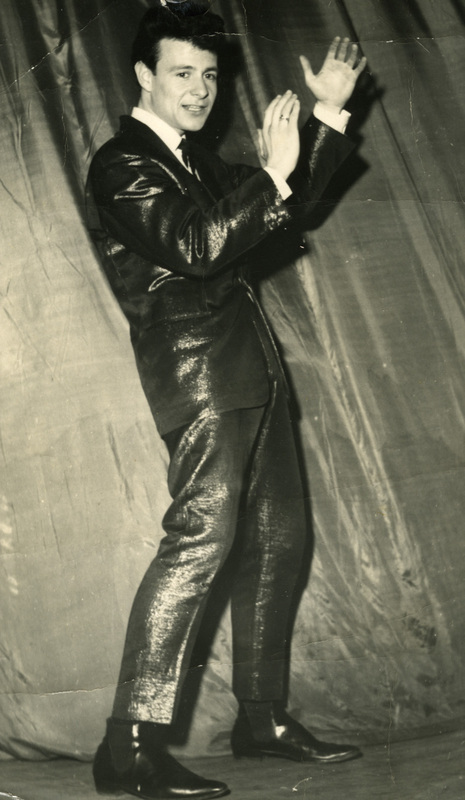 In April 1960, Fortune replaced Eddie Cochran on Gene Vincent/Eddie Cochran UK tour when Cochran was killed in a car crash. 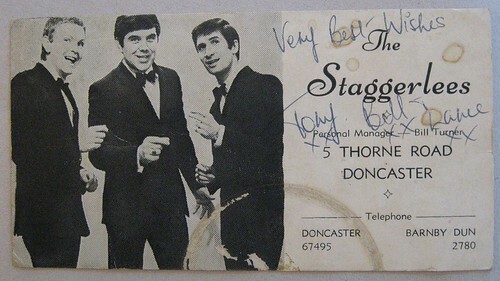 After Fortune's popularity waned in 1963 he joined a group that had backed him and he had worked with both in the UK and Germany called The Staggerlees. 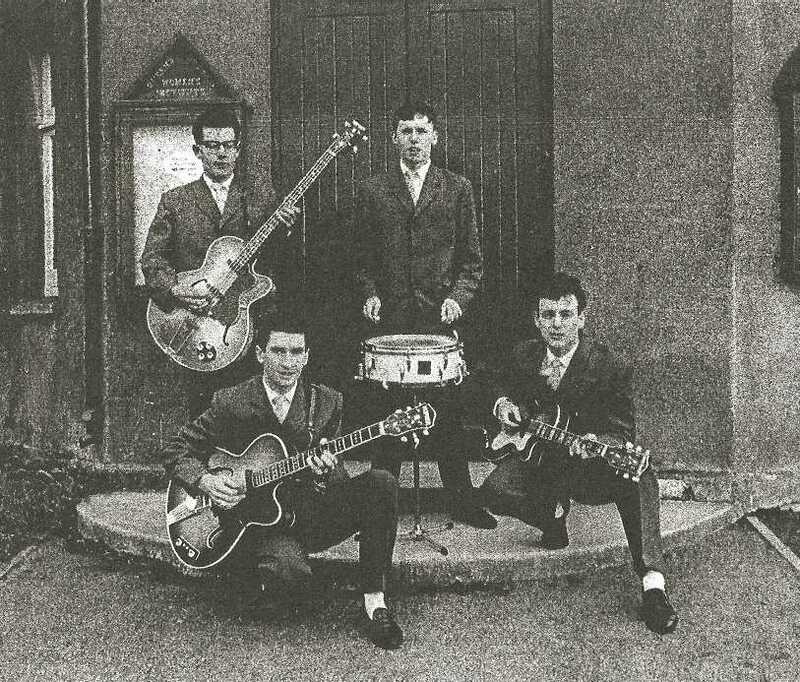 As well are being one of the very few Cornish bands to release a commercial single, the band also made a number of personal recordings during their long history. I'm happy to be able to share some of those recordings with you here. 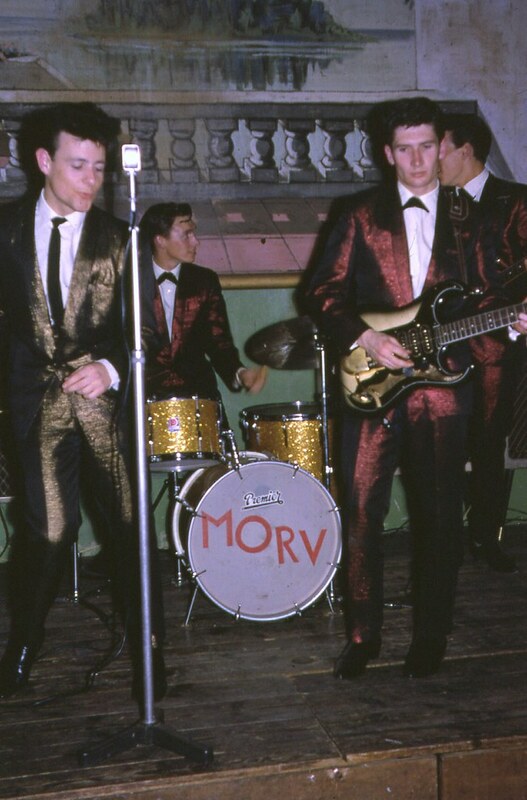 These recordings were made during the early days of the band. 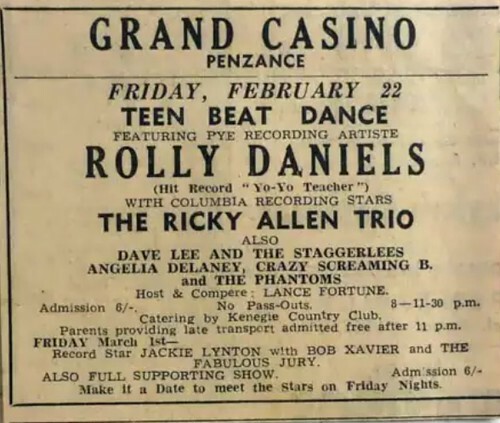 Recorded at the now demolished Porthtowan Hotel in 1960 on a personal tape recorder, these songs show the band developing from rock & roll into pre-Beatles pop. 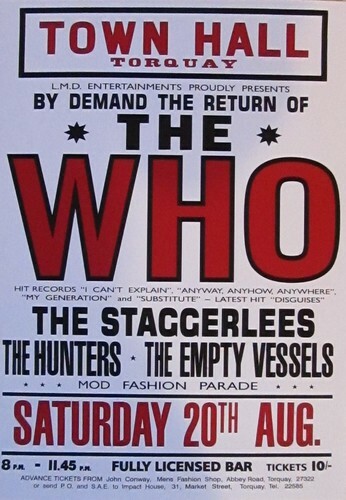 Here are some vintage live tracks that shows the type of material the group formed September 1964 (Line-up 7) experimented with over the coming twelve months when trying to decide whether they were a pop group, or a stage act. The exact venues and dates of the tracks are unknown.